Nutmegcrisp Designs Chatter: A Very Special Sale!! Well, I'm doing it again...you'd think I'd have learned from the last time I had my "special" sale. But, alas, I did not! So, if you weren't around for my last special sale, you'll get a chance to take part this time. Here's the gist of it: I am a huge Arsenal FC fan. 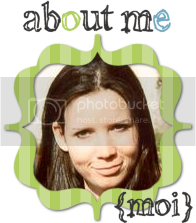 For those of you who don't know this about me, now you do! For those of you who don't know what the heck Arsenal FC is, let me tell you :) Arsenal is a football (soccer for my American customers) club from North London that has been around since 1886. They play the most beautiful football, they are a complete joy to watch on their day and tomorrow, my beloved Arsenal will be taking part in THE MOST important game of their season. The second leg of the Champions League semi-final against Manchester United (yuck!). If they go through, they will play either Barcelona or Chelsea in the final in Rome!! We'll be at home, big plus, and Man Utd only scored one goal in the first leg (it could've been 4 or 5!). So, it can be done, I have faith in the boys and the manager. I'm also sick to my stomach just thinking about it and I won't get any sleep tonight because of the game. If Arsenal win and go through to the final (OMG! ), then I will have a one-day sale on Wednesday, May 6th, in my Ebay Store and my Website. The sale will start out at 50% off all fixed priced auction templates, but, and here's the very special part, I will add another 5% off for every goal Arsenal scores in the game. Including penalty kicks, if it goes down to that. If anyone wants more info on Arsenal Football Club, you can visit the main website here. If anyone wants to watch the game here in the U.S., it'll be broadcast on ESPN2 tomorrow, Tuesday 5th of May, with coverage starting at 2:00 pm Eastern Time. Even if you've never watched a game of football (soccer) in your life, you will enjoy this game, trust me! These teams are old rivals and it's sure to heat up! Plus, there will be some of the best football players in the world on display. Please keep your fingers crossed for me...unless you're a Man Utd or Tottenham supporter! 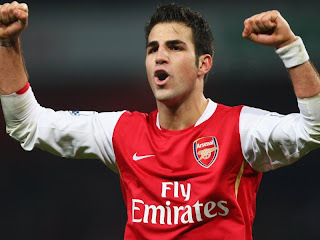 Also, HAPPY BIRTHDAY CESC FABREGAS! !